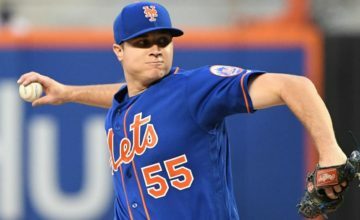 FLUSHING, N.Y., March 28, 2019 – The New York Mets announced the following roster moves today. 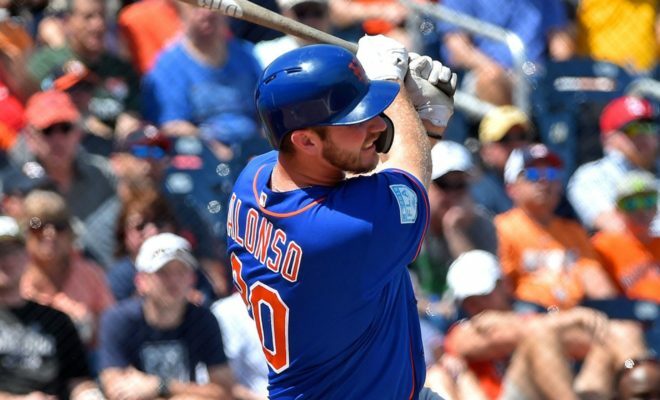 · Selected the contracts of infielder Pete Alonso and LHP Luis Avilán. · Recalled RHP Tim Peterson. 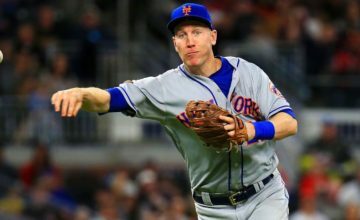 · Placed outfielder Yoenis Céspedes on the 10-Day Injured List, retroactive to March 25, as he recovers from left and right heel surgery, placed catcher Travis d’Arnaud on the 10-Day Injured List, retroactive to March 25, as he recovers from Tommy John surgery, placed infielder Todd Frazier on the 10-Day Injured List, retroactive to March 25, with a left oblique strain, placed infielder Jed Lowrie on the 10-Day Injured List, retroactive to March 25, with a left knee capsule sprain and placed RHP Drew Smith on the 10-Day Injured List, retroactive to March 25, as he recovers from Tommy John surgery. Below is the Mets 25-man roster. Pitchers (12): LHP Luis Avilán, RHP Jacob deGrom, RHP Edwin Díaz, RHP Jeurys Familia, RHP Robert Gsellman, RHP Seth Lugo, LHP Steven Matz, RHP Tim Peterson, RHP Noah Syndergaard, LHP Jason Vargas, RHP Zack Wheeler, LHP Justin Wilson. Catchers (2): Tomás Nido, Wilson Ramos. 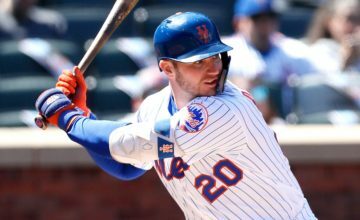 Infielders (7): Pete Alonso, Robinson Canó, J.D. Davis, Luis Guillorme, Jeff McNeil, Amed Rosario, Dominic Smith. Outfielders (4): Keon Broxton, Michael Conforto, Juan Lagares, Brandon Nimmo.